In 1963, a tractor manufacturer named Ferruccio Lamborghini decided that he wanted to make cars. He had been frustrated with a Ferrari he had purchased, which led to a brouhaha with the owner of Ferrari—who insulted Signore Lamborhini and told him to stick to manufacturing tractors. Lamborghini took revenge by creating the luxurious 350 GT, the company’s first production vehicle. That, in turn, paved the way for the creation in 1966 of the Muira, the fastest production road car available in that era. It offered a top speed of 174 miles per hour. The Miura, which was an instant sales success with almost 800 copies made between 1966 and 1973, is credited for spurring the supercar trend: production of high-performance, mid-engine, two-seat sports cars. 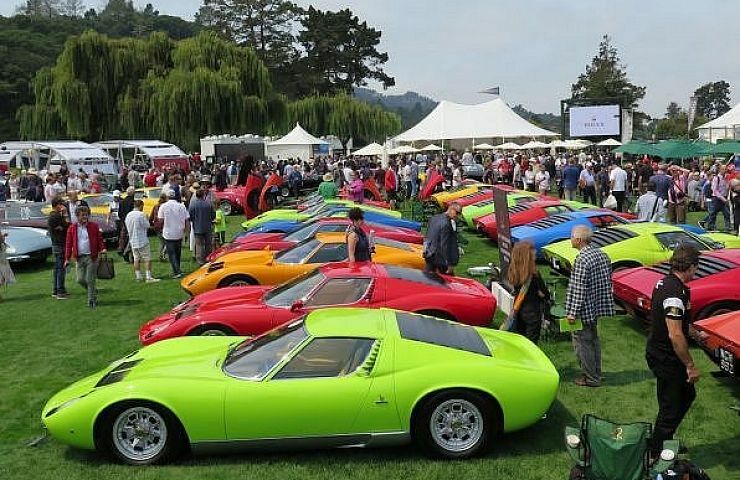 A Muira feast at the recent Monterey Car Week. The 50th anniversary of the Muira was celebrated at the recent 2016 Monterey Car Week—with more than 25 examples featured at Concorso Italiano, The Quail Gathering, and the Pebble Beach Concours. The origin of the Muira dates back a half-century ago when Lamborghini engineers worked in their spare time to create the P400, the prototype predecessor to the Muira. At that time, Ferruccio Lamborghini wanted to continue focusing on more sedate four-seat grand tourers, like the 350 GT. The engineers prevailed, creating a sports car designed for streets and the racetrack. With coachwork penned by Bertone, the car was the star of the 1966 Geneva Auto Show, where it debuted. The Miura was powered by a 3.9-liter 350-horsepower Lamborghini V12 engine, mated to a five-speed transmission. 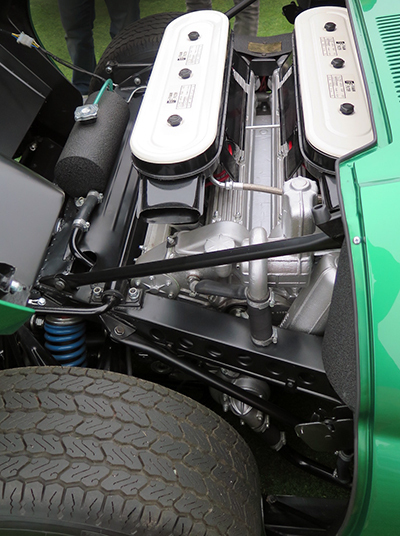 Later versions of the Miura featured an engine and gearbox formed with a single casting. Over the years, creature comforts were added, like power windows, locking glove box, and air conditioning. Production of the Muira lasted until in 1973. To celebrate the 50th anniversary of the Miura, Lamborghini unveiled the Aventador Miura Homage. 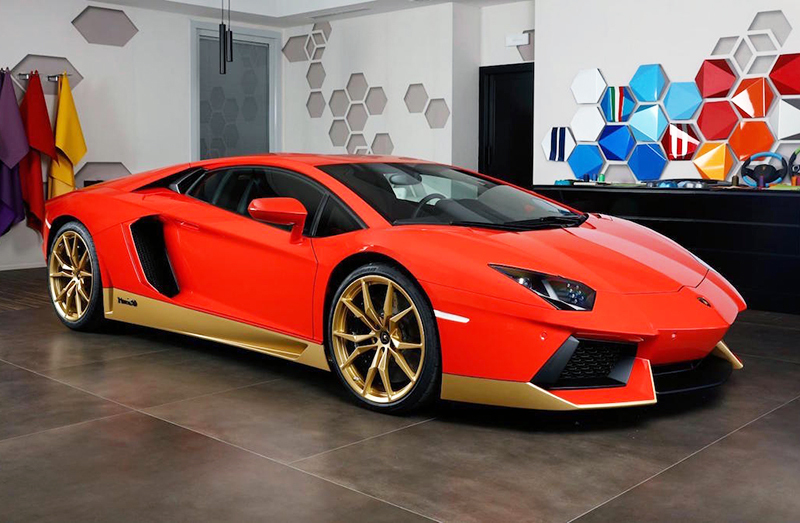 The company’s Ad Personam customization division created the special edition version of the Aventador, producing only 50 units. 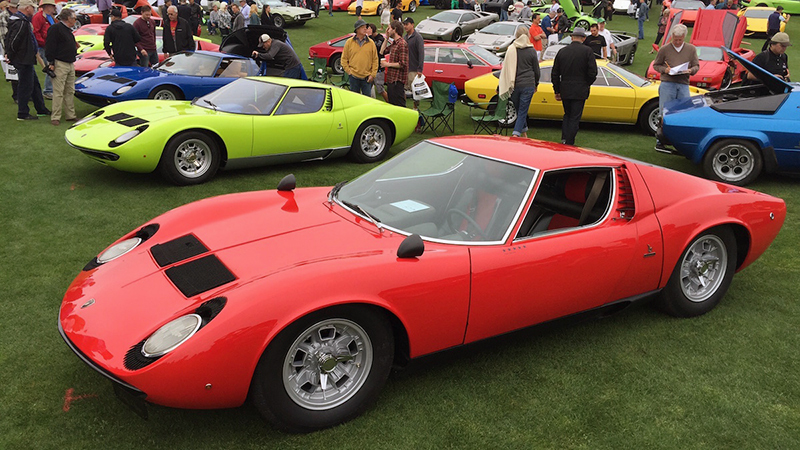 The homage vehicle is available in six of the classic Miura colors, such as Verde Scandal, Blu Tahiti, and Rosso Arancio Miura. 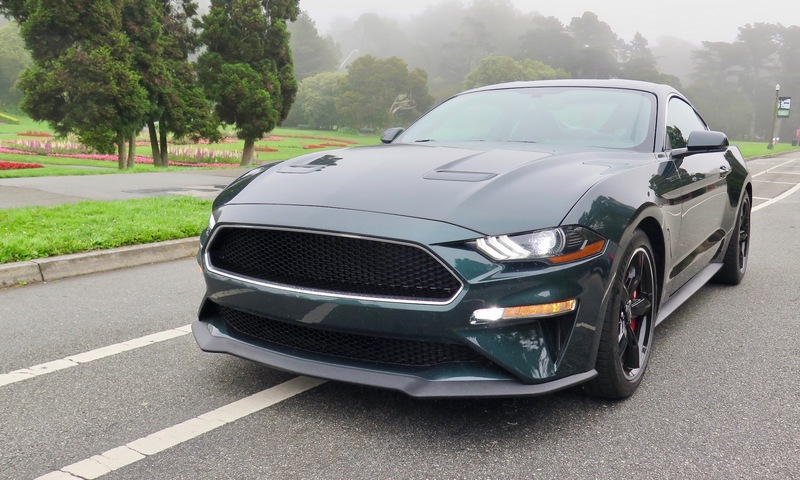 Staggered 20/21-inch wheels come either in matt gold or silver, with interior accents in the form of carbon fiber elements and special stitching. But arguably the defining component—which serves as the best tribute to Lamborghini’s 50-year supercar legacy—is what you find mounted in the middle of the Muira Homage: a beastly 700-horsepower 6.5-liter V12 engine that rockets the car from a standstill to 60 miles per hour in 2.9 seconds.